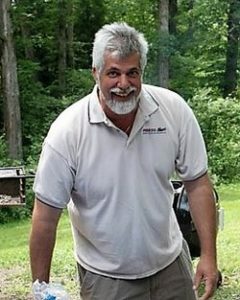 William “Bill” Birurakis, Jr., 62, of Great Mills, MD and Hobe Sound, FL passed away Saturday, November 3, 2018 at MedStar Southern Maryland Hospital in Clinton, MD with his loving family at his side. He was born on March 26, 1956 in Morgantown, WV to William, Sr. and Joann Korakaki Birurakis of Charleston, WV. In 1974 Bill enlisted in the United States Army and proudly served his country until his Honorable Discharge in 1981 as a Sergeant. Bill married his first wife of 7 years, Beverly Umstead, in 1975 and was blessed with his first daughter, Leah in 1980. During his service he earned the Good Conduct Medal (Clasp, Bronze 2 loops), Expert Badge (Rifle); Overseas Service Ribbon, and Army Service Ribbon. On February 4, 1983 he married his wife, Saundra Birurakis in Copenhagen, Denmark. Together they have celebrated over 35 wonderful years of marriage and were given three beautiful children, William III, Alexandra, and Maria. Bill earned his Bachelor of Science degree in Electrical Engineering at West Virginia Institute of Technology in Montgomery, WV in 1989 and was employed as an Electrical Engineer at the Naval Air Systems Command, Patuxent River, Maryland until his retirement from Government Service in 2006. Bill rapidly earned a wide reputation for his knowledge, engineering skills, and innovation while serving as the Chief Engineer for the Navy’s automated test and support equipment program office. He managed a team of engineers and skilled technical staff successfully conducting operational validation and testing of numerous automated test configurations and supporting multiple aircraft for the Navy and Marine Corps. His teams were award-winning for their dedication and passionate commitment to the service members who operated and performed the work on the systems in the field and at sea. His reputation for engineering excellence spanned across the Department of Defense, all service branches, and into the Defense Industry. After his government service, Bill and his wife created a government contracting company specializing in electronic test equipment and innovative engineering. He loved the challenge of rapidly “Pioneering” a “Solution” to any problem, thus the name “Pioneering Decisive Solutions, Inc.” (PIDESO). The business expanded from one location in California, MD to three locations including Reston, VA and Jupiter, FL. The business also grew from a local “Center of Excellence” support for the F/A-18 RADAR System to staffing the Navy’s Aviation Rapid Action Team (ARAT) for all Navy and Marine Corps aircraft platforms, Air Force Automated Testers at Warner Robbins AFB in GA, and support to the Army Automated Test Systems Division (ATSD) at Picatinny Arsenal in NJ. PIDESO currently has more than 50 employees spread across a vast engineering support network with many close business partners and customers. He thrived on the challenges of work and spending time with family and friends as an avid outdoorsman with a passion for camping, hunting, fishing and farming. Bill is survived by his loving parents, his beloved wife Saundra, and his children: Leah Birurakis of Savannah, GA; William “Bill” Birurakis, III of Lusby, MD; Alexandra Birurakis of White Marsh, MD; and Maria Birurakis of Great Mills, MD; his brothers: Michael Birurakis, Gregory Birurakis and Steven Birurakis, all of Charleston, WV; his nephew Jacob Birurakis; his niece Eva Birurakis; his father-in-law Meril Fetters of McConnellsburg, PA.
Family will receive friends for Bill’s Life Celebration on Thursday, November 8, 2018 from 5:00 to 8:00 p.m. at Brinsfield Funeral Home, P.A., 22955 Hollywood Road, Leonardtown, MD 20650. A Funeral Service will be celebrated at 11:00am on Saturday, November 10, 2018 at St. John Greek Orthodox Church, 3512 Maccorkle Ave SE, Charleston, WV 25304. Interment will follow at Sunset Memorial Park, 4301 Maccorkel Avenue, SW, South Charleston, WV 25309. This entry was posted on November 8, 2018 at 4:54 am and is filed under All News, Obituaries, z Obituary Ad Top. You can follow any responses to this entry through the RSS 2.0 feed.